These logos work on cards, signs, stationery, t-shirts, websites, and walls. Your colors beg to be included. Click on and Zoom in on any piece to see it larger and more detailed. Pen and ink on paper, ‘7″x 5″, this design was for a business card and a magnetic truck sign. 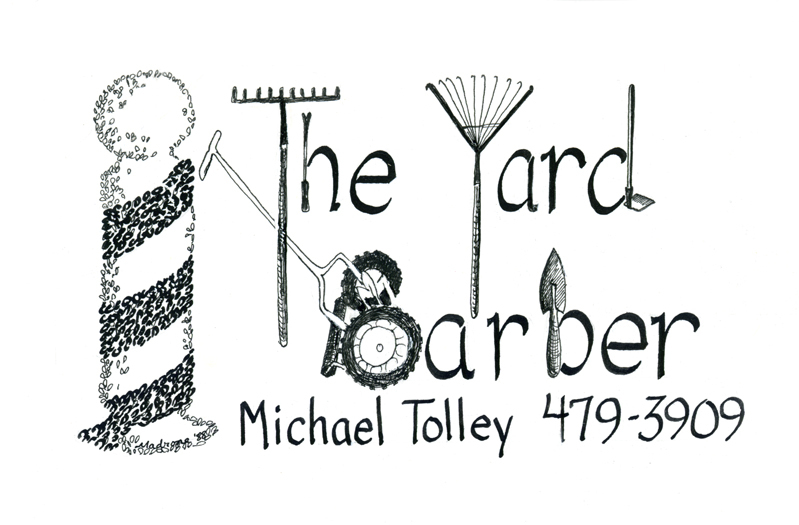 Original 24″ x18″, pen, brush and ink on paper, this logo is hand drawn, including the lettering, to portray the full range of this company in Merlin, Oregon. I then had a silkscreen made, with which I screened about 20 clear plastic, adhesive signs to put onto the doors of their multi-colored trucks. Those signs are still around today, decades later. The above logo is prominently posted on the company Facebook page.